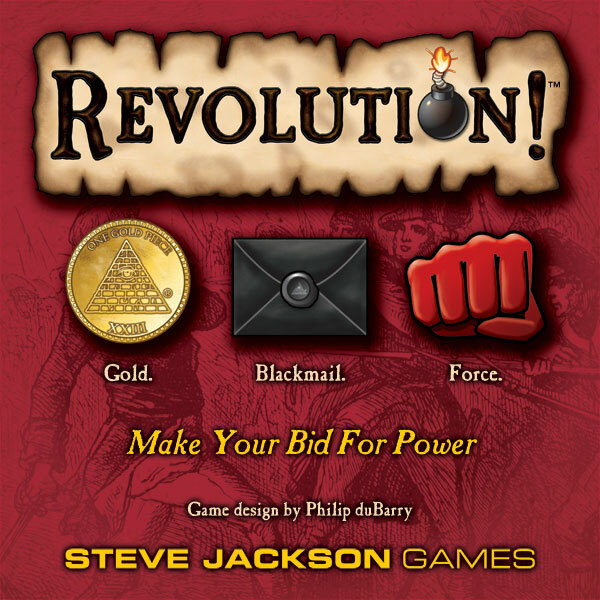 Secretly bid against your opponents to gain the support of the people, win territory . 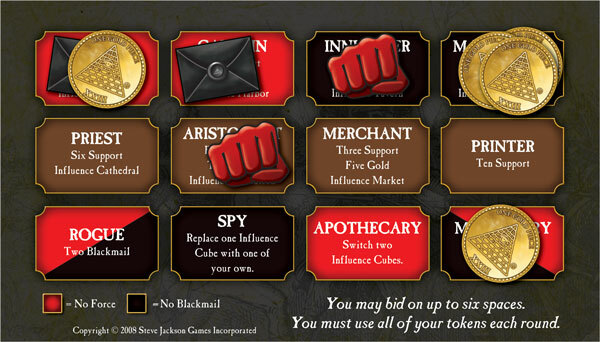 . . and collect more Gold, Blackmail, and Force for the next round of bidding! Will you try to control the tavern or the fortress? The harbor or the plantation? Knowing where to push for support – and where to back away and let your opponents fight – is the key to victory. It's a game of bluff, counter-bluff, and surprise. 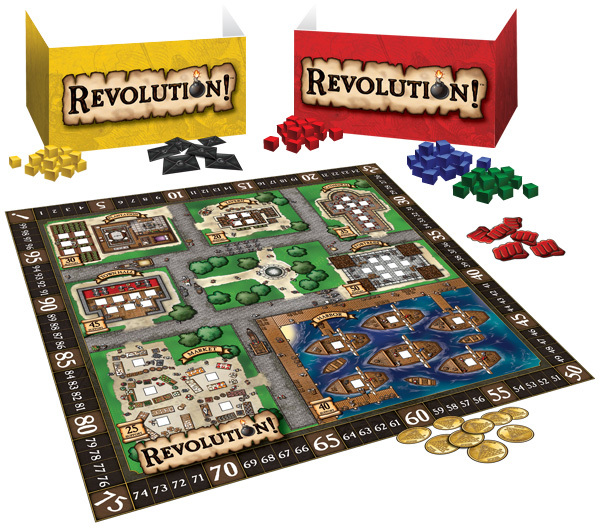 Check out the expansions, The Palace and Anarchy! 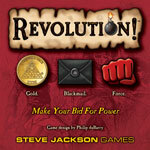 See what they're saying about Revolution! See the game in action on our gallery page. 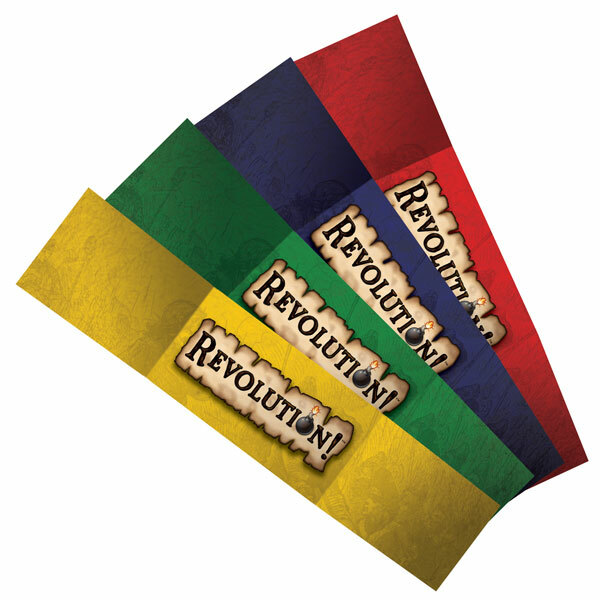 Read Winning the Revolution: A Brief Discussion of Strategy & Tactics.